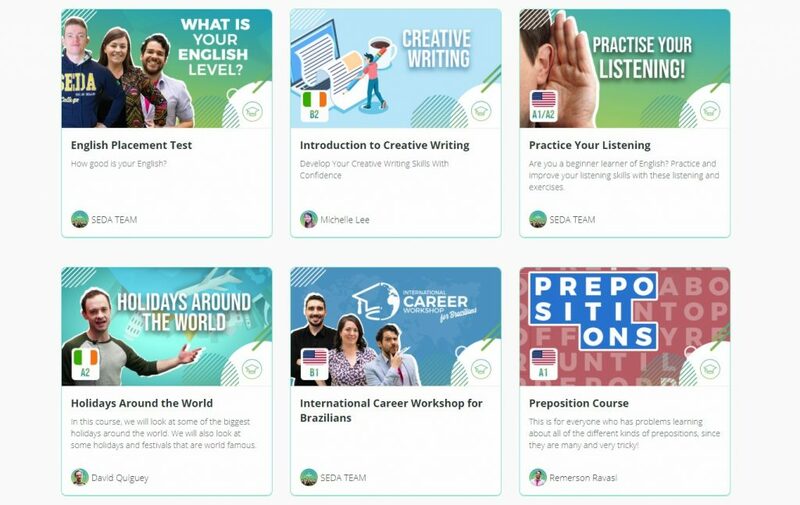 Learning English has become essential these days, but not everyone has the chance to take private lessons or leave the country to study abroad. However studying a language is not impossible, especially when you have access to SEDA College Online. Launched in April 2017, SEDA College Online has emerged to provide quality education and teaching English to people around the world. Currently, students from countries such as Brazil, Chile, Colombia, Mexico, Bolivia, Panama, and Costa Rica learn from the platform. SEDA College Online has a methodology based on video-lessons, where you can follow the courses available on the site. 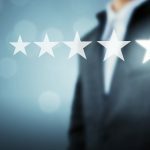 As the goal is to immerse the language, classes take place in English, however, it’s possible to activate subtitles in Portuguese until the student feels full confident. 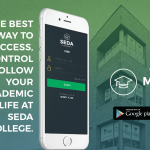 There is no set time for course completion, which makes SEDA Online fit perfectly into anyone’s study schedule. In addition to the courses, it’s possible to have access to live lessons, which happen weekly on the Facebook page and inside the platform. Furthermore, students can make questions and interact with teachers and other students. On the platform, you will find about 30 courses, for beginners, intermediate and advanced level students. So don’t worry if you have just started your English studies, you will be able to understand how the platform works and you will gradually enhance your skills. You will also have access to English courses for specific purposes, such as cabin crew, beauty salon, and even sales! In addition, we offer extra courses such as Business English, Spanish, Exchange Consultant, Portuguese and Russian for beginners. 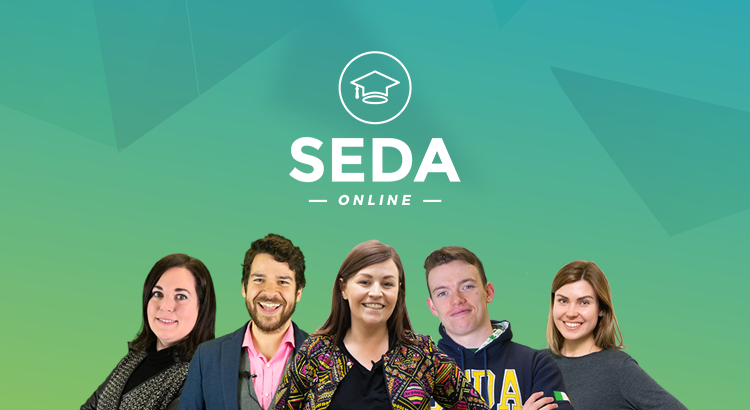 SEDA College Online team is comprised of internationally certified teachers who have strong teaching experience in many different countries, including Brazil, Spain, Ireland, the United States, Canada, Russia, and Mexico. For General English and specific purposes courses, students receive a certificate of completion from SEDA College Online. Follow us on Instagram @sedacollegeonline and Facebook page for English tips!